As the chimes move in accord with the wind and make their sounds, I hear both trust and playfulness. Let the sounds create an image of an eagle soaring; imagine that eagle is you and the wind supporting you is the Spirit. What do you hear? What a compelling image. When the pressure is on; when we are weary and worn out; when there is more than we can handle; when we don’t know what to do… Isaiah says “Wait.” Breathe deeply. Be conscious and mindful. Wait for God. I can see in my minds eye the next movement, an eagle beginning to mount the skies. 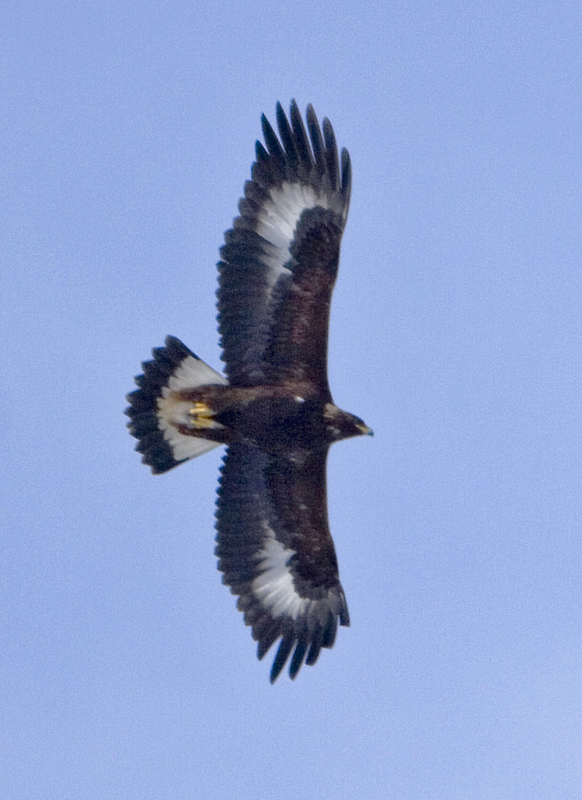 With slow and deliberate movement, a perching eagle will spread her wings, feeling for the power of the wind. And then, gently, like sliding into water, the great bird will trust itself to the sky, throwing its arms out in a wide embrace. It catches the power of the wind and goes soaring, adjusting with modest effort as it picks up the drafts. In a similar way we can run and not be weary; walk and not be faint. That’s the image I want to take with me today when that inevitable moment of weariness comes. Please read the rest of his meditation, “Encouragement,” here. You may visit the website of St. Paul’s Episcopal Church, Fayetteville, here.